I also had a quest to see all of the 110 objects identified in the dark night sky by a fellow called Messier a couple hundred years ago. His objective was to eliminate confusion so they wouldn't be mistaken for comets. I simply enjoy the challenge with my 8" telescope. I located the last one in Oct 1999! 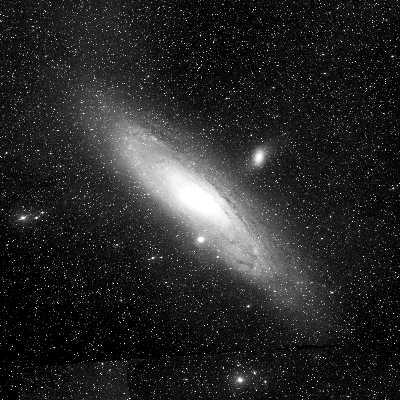 The Andromeda Galaxy galaxy (M31), through some telescope (left) and more like through mine (right). In Oct 2004, I received the Honorary Messier Club Certificate from the Astronomical League, certificate number 2184.